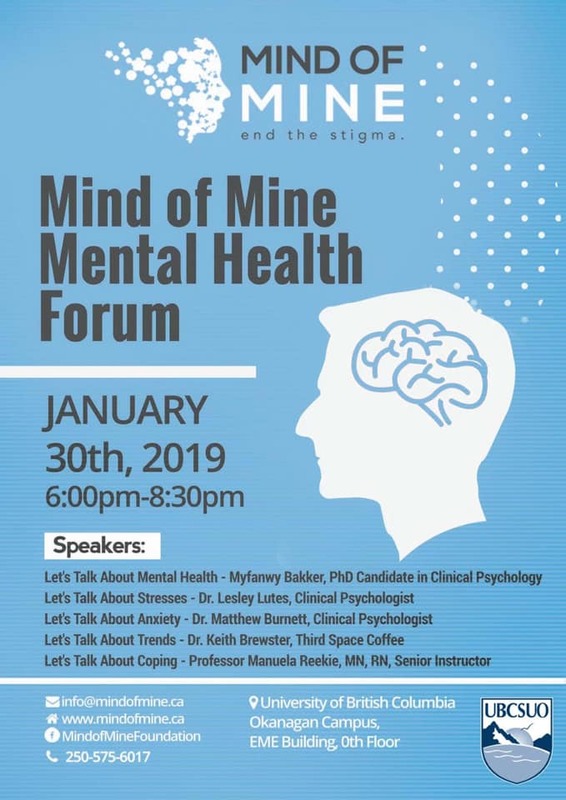 On January 30th, 2019, Mind of Mine Foundation presents a free forum at UBCO about various topics of mental health including stresses, anxiety, common trends and exercise, and coping. Along with some incredible speakers, there will be several resources setting up information booths including: Canadian Mental Health Association (Kelowna), Foundry Kelowna, The Bridge Youth & Family Services, Third Space Coffee, Empower Me, and Thrive. To end the stigma associated with mental health, first we must learn and educate ourselves on the topic. Join Christy Lovig and her team from Doak Shirreff Lawyers LLP on January 18th, between 6:30am-8:30am at Foundry Kelowna (100 – 1815 Kirschner Road) for a delicious pancake breakfast, available to take out as well as dine in! Breakfast is by donation with 100% of proceeds directed to youth mental health programs and services at Foundry Kelowna. For more information on the breakfast, or to confirm your attendance, please contact Nicole Langlands-Kotnik at nkotnik@doakshirreff.com or 250-979-2534. Fore more information on Foundry Kelowna visit www.foundrybc.ca/kelowna. Click here to donate to this initiative.